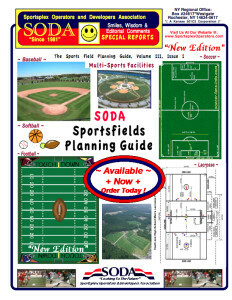 BEACON Ballfields Exclusive Weekly Tips ! ( June’17 ) ! IN STOCK: Ships within 24 hours! Straight edge 4′ x 6′ mat with 1/2″ nonporous 100% recycled black rubber. Mats are flat on one side with non-skid texture on the other and can be used as either a pitching/batting mat or dugout rubber mat flooring. Exclusive Pitching and Batting Mats, use pbmat10 during checkout (offer valid thru July 2). IN STOCK: Ships within 24 hours! A bucket’s a bucket, right? Not exactly. Beacon Buckets are different. Each bucket is printed with helpful tips on how to do a particular ballfield job — instructions for chalking infields, base care, clay repairs, tarp care, and using drying agent. They’re heavy-duty plastic with a sturdy handle and a lid, so you can carry them easily on the field, then use them for moisture-free storage in the shop. You’ll wonder how you got by without them. NOTE: Buckets ship without product. Exclusive Beacon Buckets Set of 5, use buckets10 during checkout (offer valid thru July 2). Annual Father’s Day Car show brings dads out in droves to Sports Park ! Annual Father’s Day Car show brings dads out in droves . . . .
People enjoy the classic and customized classic cars on display during the 47th Annual Murrieta Father’s Day Car Show at California Oaks Sports Park, June 18. Austin Scola (right) helps apply sunscreen on his son Vincent, 10, during a hot and sunny Murrieta Father’s Day Car Show, June 18. Murrieta Father’s Day Car Show judge Rick Brown, reviews and records points on one of the many classic cars on display and entered in the contest during the annual event, June 18. Brian Ruppert (left) with his dad Chris Ruppert, enjoy viewing the classic cars together on display at the Murrieta Father’s Day Car Show, June 18. Jeremy Melton and his son Weston, 3, tour the variety of classic cars on display during the 47th Annual Murrieta Father’s Day Car Show at California Oaks Sports Park, June 18. Total Sports Park gains financing for indoor facility ! 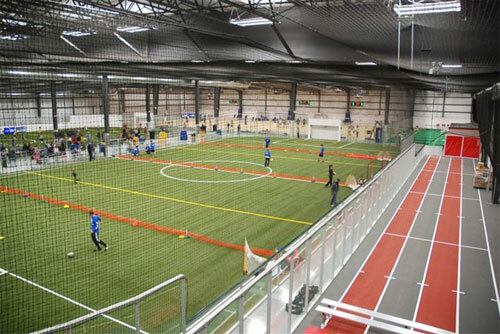 Project expected to begin this month and be completed by November. . . . . . . .
Washington Twp., Michigan – Shovels will go in the ground this month on a long-awaited indoor facility at Total Sports Park located off Powell Road in Washington Township, MI. Total Sports co-owner Chris McInally said that they have secured financing for a 119,000-square-foot building with an estimated cost of $8.5 million. The indoor facility will be an addition to the complex that includes 24 outdoor soccer fields that were opened in the fall of 2015. McInally said they will break ground by the end of this month and are looking at a completion date of Nov. 1. Inside the indoor complex will be a full-size football field that will also accommodate soccer and lacrosse. It also will include six volleyball courts, six batting cages, an exercise facility, dance studio and sports bar. Several tournaments have been hosted at the outdoor soccer fields over the past 18 months, and now adult and youth leagues have been established. Total Soccer, as it was called when first proposed, finalized a deal in December 2013 to buy an 80-acre portion of land from Washington Township. The township acquired 200 acres of land east of M-53 off 30 Mile Road for $1.5 million with plans to build a new community center on the property and work in conjunction with Total Sports to create a recreation facility on the site. McInally and Township Supervisor Dan O’Leary said those plans remain in place. O’Leary said Clerk Kathy Bosheers will present an update to the township Board of Trustees next month laying out a proposed committee structure and considering the proposed needs, wants and financing for the township complex. When the project was first proposed, paving 30 Mile Road, which will be the main access point for the new Total Sports facility and future township facility, was integrated into the timeline. O’Leary said costs for paving that segment of road have been “prohibitive” and are being reconsidered. He said that the township will continue to fortify the road as part of its limestone program until a paving project is approved. This Weeks Featured Products ! 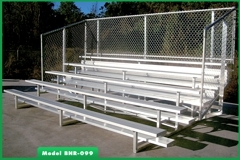 Enhance guest experience during indoor or outdoor events with aluminum bleacher stands. These quality aluminum bleachers are engineered in 2-15 row configurations with a 3-sided protective guardrail on 4+ rows and single or double footboards. These bleachers are compatible with the portable tip and roll and tow kits, allowing facilities to maximize space and bleacher usage. 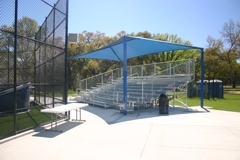 Quality bleachers combine safety, durability and versatility to provide an attractive, economical solution for large or small group seating. Belson Outdoors, LLCclick here to learn more! We’re In The Game ! GT Grandstands is a leading designer and manufacturer of premium Permanent Grandstands, Press Boxes, Seating Renovations, Portable Angle Frame Bleachers and Team Benches, customized to meet your specific needs and exceed your expectations. Are your current bleachers compliant? Let us inspect and ensure your facility meets regulations for safety. GT Grandstands click here to learn more! SPEEDY STAGE by Kay Park is easily towed between venues and set up for your events! It has all weather construction of galvanized steel and aluminum decking. Hydraulic folding system with push button operation makes it easy to operate. An economical solution if you host multiple events throughout the year. For more information, call 1-800-553-2476 or visit www.kaypark.com. Kay Park-Recreation Corporationclick here to learn more! 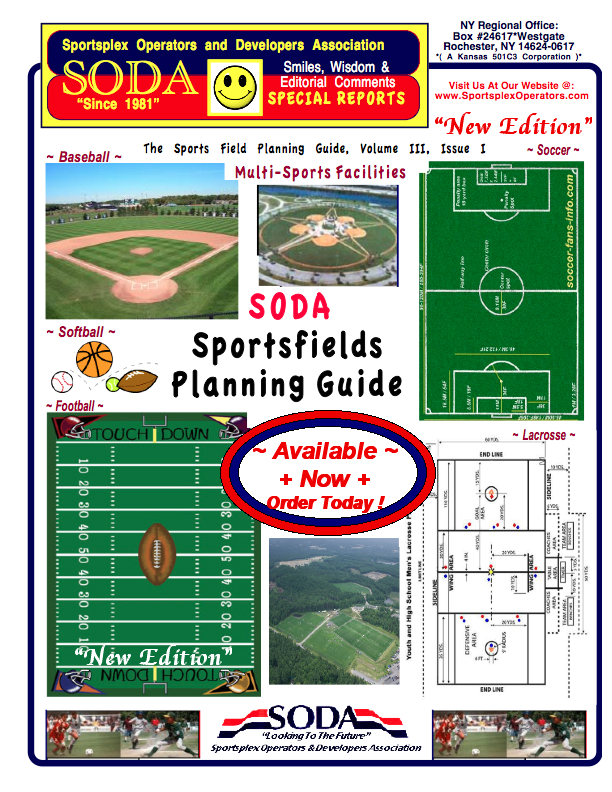 Work on Sparta sports park continues, but at slower rate than envisioned ! Sparta, MI. 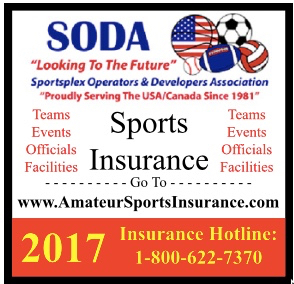 – There weren’t any games played at the new Sparta Recreation Authority Sports Complex in 2016 nor will there be this summer. If the funding does come in as pledged, if a state grant is approved, and if the volunteers who have offered to build some of the other facilities do the work they have said they would do this summer, there could be Little League games played at the 90-acre park in 2018. But right now, even playing a few games there next summer may be a challenge. Work on the new multi-sports complex, located in the northwest corner of the village off State Street, started in 2015. 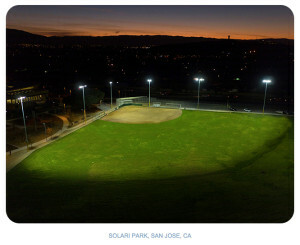 When SARA officials held the ground breaking for the project in June 2015, they said they hoped the park would be at the point where at least a few Little League games could be played at the park in the summer of 2016. They conceded at the time the schedule was aggressive. Work hasn’t stopped entirely on the park this summer, but it has slowed as the Sparta Recreation Authority, which oversees the park, and the Sparta Area Recreation Association, which is building the park, wait for additional funding to continue the project. 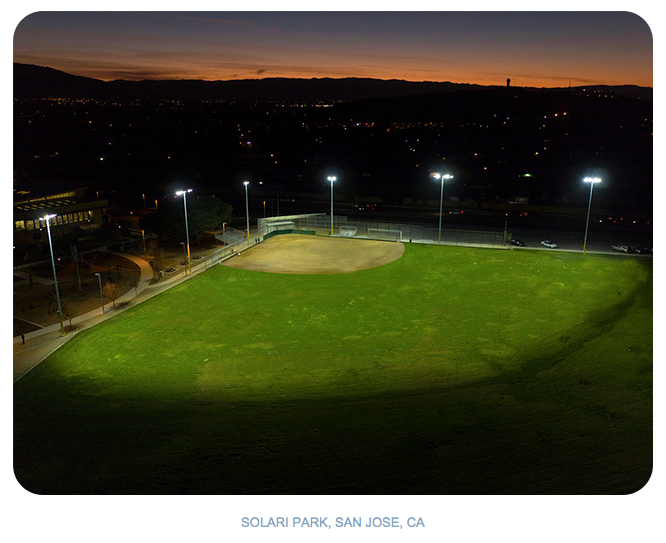 While the two groups wait for additional funding, a lot has been done on the park. The site has been leveled, the four Little League fields built, and have been fenced in and seeded. Other recreational fields have been initially seeded as well. The road into the park and the parking lot both remain unpaved and no other improvements have been made at this point. Sparta Township Treasurer Rachel Shangle is a member of the SRA board. She said the group hopes to have the concession building and restrooms completed yet this summer — but those facilities are being built with volunteer labor who will work on the project when they have time. More than $2 million in donations have been spent to date to level the site and get the first phase of the park to this point. There is still nearly $200,000 in donations available for construction and another $300,000 in pledges, which are expected to come in over the next three years. The first phase of the park is expected to cost nearly $3 million to complete. Shangle said the main issue slowing down construction is that much of the money that has been pledged to build the park is coming in over time. If they had all of the funding when construction started, the park may have been much closer to being completed by now, she said. If the SRA is successful in securing a grant from the Michigan Department of Natural Resources, the money will be used to pave the entrance road and parking lot yet this year, but notification of the state grant awards aren’t sent out until the fall. Still with all the delays, the SARA is hopeful the park will be to the point next year where the community can start using it. The park was first proposed in 2012 as a way to bring all of the village’s playing fields to one park and to give the community the facilities to host large soccer and rugby events. For traditional grass infields, there are really two dragging patterns to consider. The Parallel Drag Pattern is basically following a path parallel to the turf edges of the infield skin, working your way inward. Watch your speed while cornering, slower is better. If you go too fast you’ll toss excess material toward the outer edge of the drag which will pile up in those areas. The Overlapping Circles Pattern is used in conjunction with the parallel pattern to cross drag the infield for a smoother surface. When dragging in overlapping circles it is very important to go slow. If you go too fast it can cause a “bowling out” of the center of your infield. IN STOCK: Ships within 24 hours! Heavy-duty rubber construction brings excellent durability and reduced maintenance of the pitcher’s mound. PVC tube insert. Exclusive Schutt Four-Sided Pitching Rubber, use 4side10 during checkout (offer valid thru June 25). IN STOCK: Ships within 24 hours! The finishing drag that virtually floats across your infield. Natural fiber cocoa provides a highly professional finish. Choose from the Cocoa Mat only, or with the optional leveling bar. Exclusive Cocoa Mat Drag, use cmd10 during checkout (offer valid thru June 25). Collier, FL commission OK’s New sports park, tourist tax hike ! NAPLES, Fla. An amateur sports park and a 1 percent tourist tax that will pay for it received unanimous approval Tuesday from the Collier County Commission. More than two dozen taxpayers, sports enthusiasts and hotel managers showed up to the meeting and spoke largely in support of the $60 million project, which is planned for a site known as City Gate near Interstate 75 and Collier Boulevard. The county’s tourist tax will rise from 4 percent, one of the lowest rates in Florida, to 5 percent. That puts Collier County’s rate on par with the tourist tax rates in Lee and Charlotte counties. Greater Naples Chamber of Commerce CEO Michael Dalby expressed support for the sports park but urged the county to consider alternatives to the City Gate site. The commission nonetheless decided Tuesday to move ahead with City Gate, which once was considered as a potential site for Atlanta Braves spring training. The sports park project is aimed at attracting tourism during off months for the county’s beaches. It will be developed in phases so the county can monitor costs. Groundbreaking is likely a couple of years away. 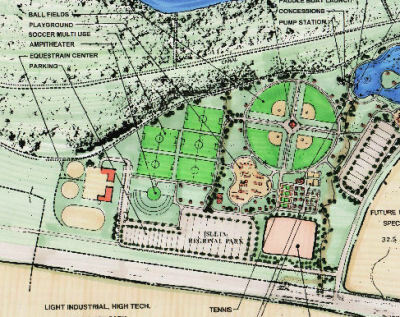 It’s a major step toward the Lake Wylie sports park. And it’s happening as planned ! LAKE WYLIE, SC. – It was a major, if less discussed, part of the plan to put a sports park in Lake Wylie. York County’s finance and operations committee recommended tax board members for four of the five spots opened by the creation of a special recreation tax district in Lake Wylie. As hoped by the group pushing for the tax district, the names are familiar. Pending full York County approval, Ron Domurat will serve a two-year term. Domurat led the push last year through Lake Wylie Athletic Association and other community members to get a tax district on the November ballot, then get it approved. The idea being to use funds from the district to build a sports site on county-owned land along Crowders Creek, beside Paddlers Cove. Russ Partin, who worked on the park construction estimates for that group, would serve a four-year term pending final approval. Former York County Councilman Tom Smith, another face of the new park movement, would serve a one-year term. James Gilkeson, another park group member, would serve three years. The idea is to stagger terms from the start to keep continuity once all terms become four years, with each new appointment. “All of these are Dist. 2 appointments,” said York County Councilman Michael Johnson (Dist. 1), chairman of the finance and operations group. In addition to the four recommendations, four other area residents applied for the tax board. “There are applicants for the fifth seat and my intent is to meet with the applicants in person so I can make the best recommendation on behalf of the taxpayers,” said Councilwoman Allison Love (Dist. 2), also a finance and operations committee member. Love, who represents the Lake Wylie area, said the four up for full Council approval bring important elements of expertise to the group, from a construction expert to a community recreation leader and a former area representative. “The four people already chosen represent different aspects of what is needed to maximize the park and recreation opportunity,” Love said. Leading up to the vote last fall, park committee members spoke of work the tax board would do to create a new sports site. Yet all along, it would be Council appointing those members who then would make their own decisions. Which is why several from the tax board push last year applied to sit on it once it was created. 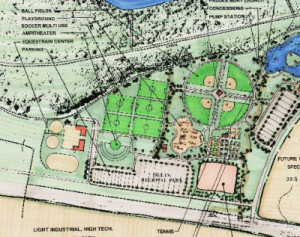 The plan presented to the public last year was for a $9.45 million park on 50 acres, plus an extra 18 acres beside it and include baseball and multipurpose fields, trails, a dog park, basketball court, disc golf and more. The new recreation tax would pay for $7 million in construction and ongoing operating costs, at about $400,000. Another $2.45 million would come from the county hospitality tax fund. The new tax district will be run through county administration, though the new tax board will have a say in budgeting and event planning. It will help in determining the annual millage rate for the tax. The recreation tax board isn’t the only option for locals wanting to serve at the county level. Lake Wylie residents serve on the county board of rural fire control, library board, economic development board, zoning board of appeals, board of assessment appeals, board of disabilities and special needs, planning commission. In September, Blanche Bryant has her term come up for reappointment on the Lake Wylie Marine Commission, where area residents Ellen Goff and George Medler also serve. In recent months the county began taking closer looks at the requirements for board service, which involves regular reviews. The county is looking closely to make sure conflicts of interest don’t arise. The marine commission just completed one, Johnson said. “We then did reviews of the Lake Wylie Marine Commission, Hospitality Tax Advisory Committee and the Board of Assessment Appeals on individual board members, and found no issues,” he said. With 2 or 3 different surfaces, baseball and softball fields are unique.Anywhere the infield skin or warning track come in contact with turfgrass is where “lips” can form. If this happens, it is not only bad for playability, it affects proper drainage. As a result, many problems with an infield can be traced back to poorly managed lips. IN STOCK: Ships within 24 hours! Create the perfect softball pitcher’s circle — it’s quick and easy. There is no measuring and no need to scribe the circle. Simply attached the Pitcher’s Circle Kit cable to your Streamlinerchalker and pin the other end to the front center of the pitcher’s rubber. Exclusive Softball Pitcher’s Circle Kit for Streamliners, use circle10 during checkout (offer valid thru June 18). IN STOCK: Ships within 24 hours! A perfect finish. The Cocoa Mat Hand Drag seemingly floats over topdressing for a pro-style finish — without displacing topdressing or soil. Choose from 4′ or 6′ widths. Exclusive Cocoa Mat Hand Drag, use co10 during checkout (offer valid thru June 18). Flag football offers alternative for parents concerned about concussions, and brain injuries ! One of the bright spots for football has gone unnoticed amid all the talk of declining participation numbers and parents’ concerns about brain injuries. Flag football is booming. 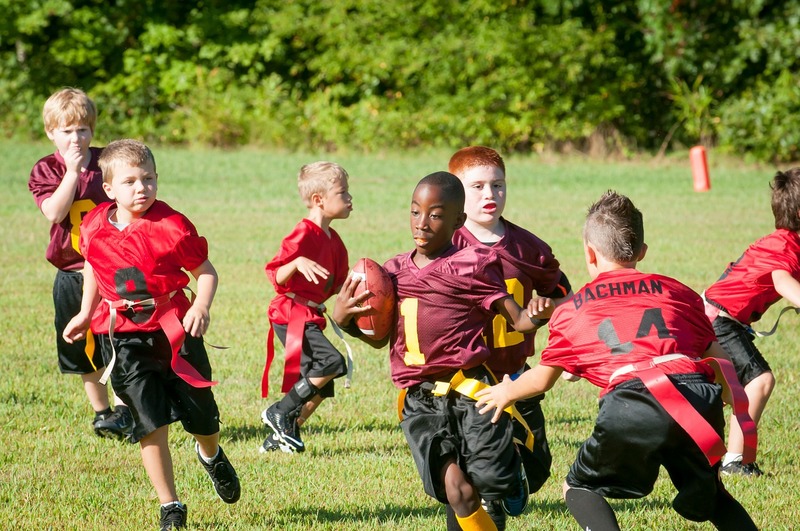 Between 2014 and 2015, participation in flag football increased 8.7 percent among kids between ages 6 and 14. That increase exceeded any other sport, making flag football the fastest growing youth sport. 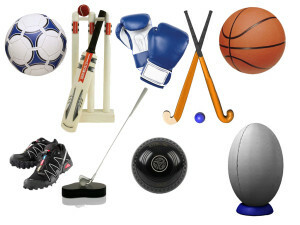 Compare it to tackle football, which only saw an increase of 1.9 percent among kids 6 to 14. If you step back and look at tackle football statistics between 2010 and 2015, though, youth tackle football participation dropped 27.7 percent – from 3 million kids to 2.169 million. Flag football leagues are thriving as an alternative for parents worried about the injury risks. In Chicago, the number of kids playing in flag football leagues has jumped 45 percent. And in Tampa, Florida, more than 7,000 kids have played at 10 sites in the Under the Lights league. The league even has a sponsor – Under Armour. Tampa’s league, like many around the country, is based on the passing leagues common for high school athletes in the offseason. Teams feature seven players on the field, all at skill positions, running sophisticated plays like jet sweeps and bubble screens, without tackling. In Virginia Beach, passing leagues offer an alternative to tackle football for kids between the ages of 10 and 18. Every play is a passing play. Every offensive player is an eligible receiver being guarded by defensive backs and linebackers. While it’s basically touch football, it does serve to teach football skills. Its coaches say excitement among parents and young athletes is high. The fear of repetitive blows to the brain from collisions in tackle football fuels much of the switch to noncontact football. With persistent reports of former players developing long-term brain decline – like the eight members of the famed 1972 Miami Dolphins team dealing with cognitive issues now – more parents might turn away from tackle football. Even the running back on that Dolphins team, Larry Csonka, argues that children shouldn’t be exposed to the risk. While the NFL, NCAA and many state high school athletic federations have taken steps to limit contact in practices, youth football hasn’t been as aggressive. Many youth leagues don’t limit the number of contact practices. Kids can play in multiple leagues throughout the year and even play in camps that feature full contact. Flag and passing leagues would represent a way to significantly decrease the number of brain impacts a young athlete withstands. Proponents of tackle football might argue that kids need to learn proper tackling techniques at a young age. Otherwise they might tackle with poor technique later and increase the risk of injury when colliding with bigger, faster and stronger players. I’m not arguing that parents should choose flag football over the tackle version. I just want them to be able to choose, no matter where they live. If parents are concerned about the risk of concussions and long-term brain injuries in football, their kids can play flag football early. Then they can switch to tackle for high school, when their brains have more fully matured. Playing sports, including football, offers kids the chance to have fun, get exercise and even develop leadership and teamwork. Both flag and tackle football can offer those benefits. Parents deserve to have either option available for their kids. Dr. Geier is an orthopedic surgeon in Charleston and author of ‘That’s Gotta Hurt: The Injuries That Changed Sports Forever,’ available in bookstores now. . . . . . . . . (440)-974-8735 . . . . . . . .